Below you find an overview of Ralf Isau's books published by Thienemann Verlag (Germany, Stuttgart). Other books have been released by the publishing groups Lübbe and Droemer. The pianist Sarah d'Agoult is guest of honor to the première of a piece of music which has been disappeared since it’s composition by Franz Liszt. Sarah’s family tree is going back to this great pianist and composer. She is excited. At last she can find out something new about her outstanding ancestor. Like him she is able to „see“ tones. She perceives the notes of a piece as colored shapes (Sarah is a synaesthetic). During the concert she has a surprising experience. Suddenly the colorful shapes fuse into a lettering. There is a warning about an attempt on assassinate Alexander II. Nikolajewitsch. Sarah knows, the Russian Tsar has been killed by anarchists in 1881 - 125 years ago. While the concert is going on her reaction is obvious strong. This is a clear signal for the lodge of the „Color Eavesdroppers“ which have Sarah watched because she might be the gifted, the „master of tones“, the person which has been searched for since generations. One member of the secret society makes an attempt to kidnap Sarah but a sentenced stalker of all people appears out of the darkness and is saving her. He talks Sarah an incredible story: Since centuries the Color Eavesdroppers are manipulating human beings by „Melodies of Power“ which have been passed on from generation to generation since the beginning of the time. More than one time they have changed the history. But now the Color Eavesdroppers not only want to maintain the order of the world. They think, they have to destroy all the failed systems of rule to emerge a novus ordo seclorum, a „new order of ages“. But the old „Melodies of Power“ are to weak to manipulate all the peoples around the world. And the Color Eavesdroppers cannot compose new ones. For their purpose they need the „Sound Teachings of Jubal“, a book which completely consists of notes. In the 17th century one has been broken a taboo and wrote down the „Sound Teaching“. But a few times later this so-called Purple Score has disappeared. The warning about the attempt on assassinate the Tsar proves Franz Liszt’s familiarity with this secret knowledge. Because Sarah, as a great-great-granddaughter of Liszt has the gifts to „read“ Jubal’s sounding book and to create new „Melodies of Power“ from it the Color Eavesdroppers are trying to seize here. This is the beginning of a murderous race for finding the Purple Score. It’s not only about an ancient piece of music. It’s not only about Sarah’s quest for the secrets of her ancestor. It is about the weaving of new powerful carpets of sound and the rule over the whole world. The Secret Library of Thaddäus Tillmann Trutz (Die geheime Bibliothek des Thaddäus Tillmann Trutz) was one of the never told stories mentioned by Michael Ende in his unforgotten novel The Never Ending Story (Die Unendliche Geschichte). Now you can read about the first journey of Karl Konrad Koreander into the realm of Phantásia and how the old antique dealer gets the book The Never Ending Story. 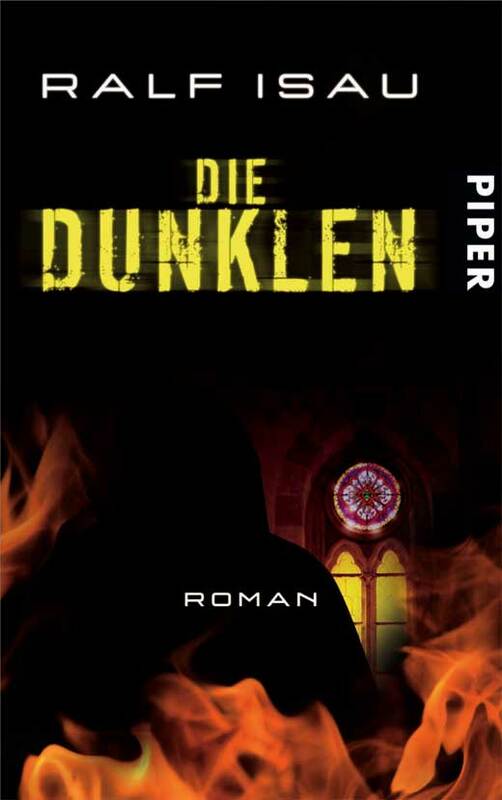 The Silver Sense (Der Silberne Sinn) is not only the title of a thrilling novel. It also describes the ability to read and manipulate the emotions of human beings. In the jungle of Guayana the anthropologist Yeremi Bellman finds a tribe of white original inhabitants with this unique empathic talent. Soon they attract the attention of mighty groups - not all of them with respectable intentions. Information of Foreign Rights Department of Verlagsgruppe Lübbe. Overview of Ralf Isau's books, their translations, and press reviews from the first two inner pages of the Foreign Rights Catalogue 2003 of Thienemann Verlag GmbH.